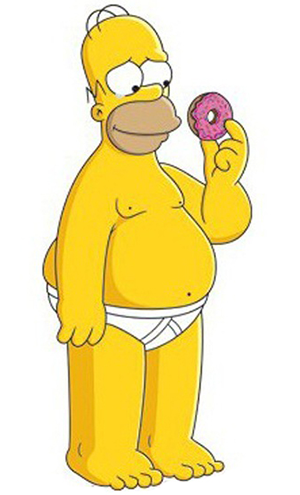 There’s never an inappropriate time to send Homer Simpson - even a shirtless Homer staring spellbound at a strawberry frosted doughnut. What’s more, he’s in his undies so what do you care about being appropriate! He’s a rule breaker and that’s why we love him! Send him to someone who will appreciate his under-dressed style!